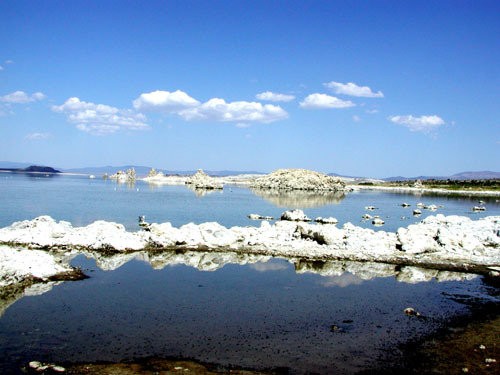 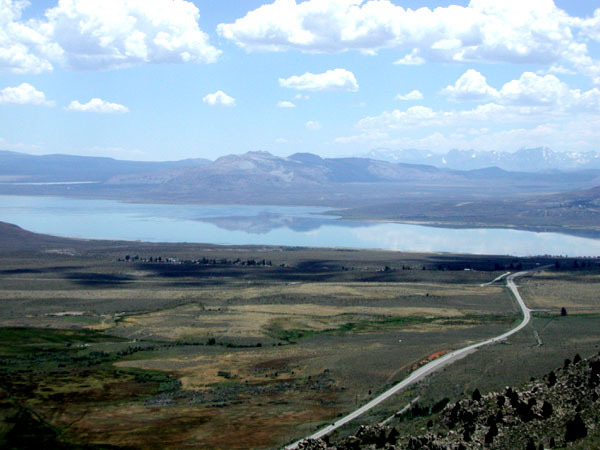 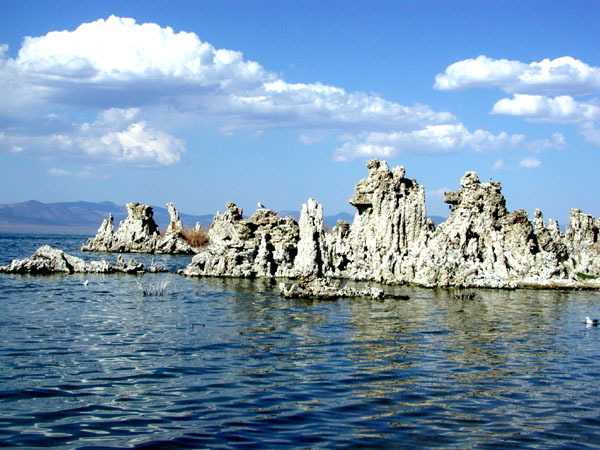 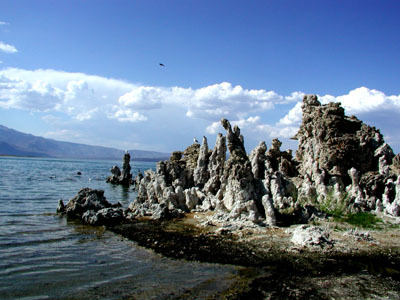 Mono Lake is one of oldest lakes in North America. 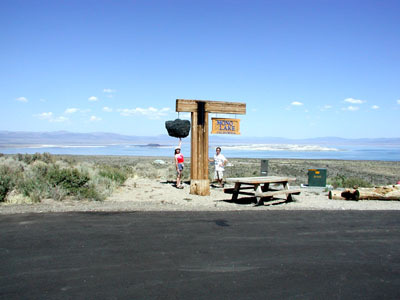 Mono lake has no outlet. 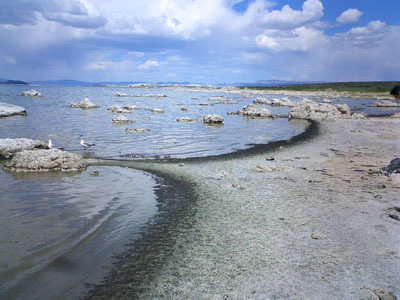 For thousands of years streams carried minerals into the lake and evapolation had made the lake saltier than the ocean (2.5times higher). 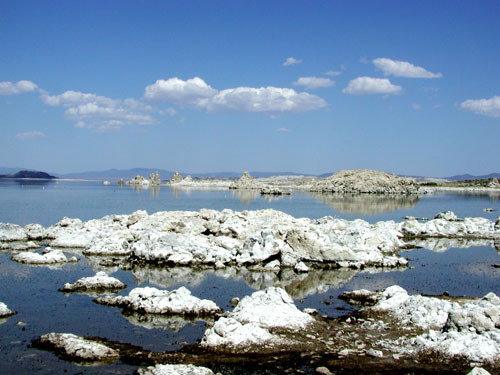 This salt lake water (carbonate) and undergound fresh spring water (calcium) had made strange looking Tufa tower formation. 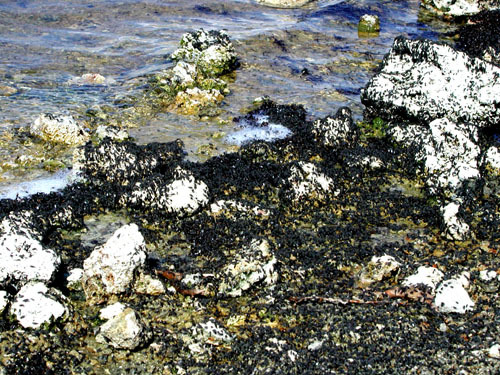 The salty water also provide a delightfully buoyant swin, but keep the water out of your eyes or any cuts, as it will sting.